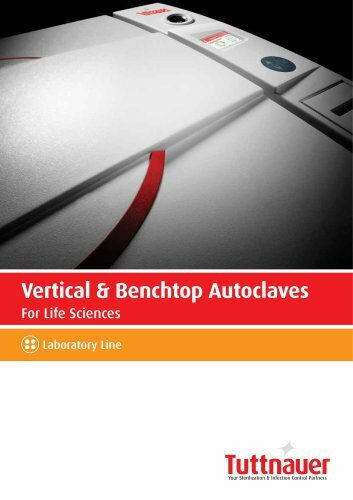 Vertical & Benchtop Autoclaves Tuttnauer benchtop laboratory autoclaves are front loading autoclaves available in chamber sizes from 28 to 160 liters. EL models have an advanced multi-color control panel and a chamber made of 316L or 316Ti stainless steel. Benchtop D-Line Models - Technical Data Optional shelves are needed to accommodate some of the loading capacities mentioned above.